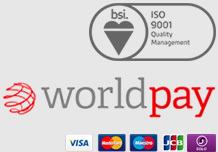 Answering the needs of todays fast moving contracts environment GAs modern 5 Star Processing Service accurately and rapidly manufactures custom made aluminium balustrade panels to realise design intentions. 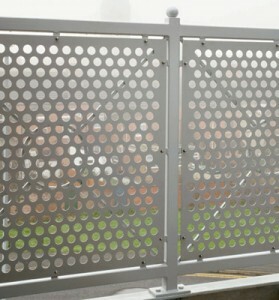 The full range of GAs perforated sheet patterns are available for incorporation into specially detailed and sized panels. Feelings of confidence are inspired by GAs flexible and well organised production methodologies. These proven techniques are effectively combined to deliver fast and cost effective service solutions. GA can do this for you! 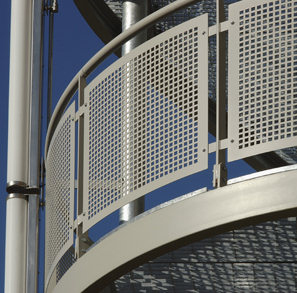 Made to Measure Panels: It’s so easy, you only need to provide the email checklist information for Aluminium Balustrade Panels and we’ll do the rest!